During last night’s third and final 2016 Presidential debate, Fox News moderator Chris Wallace asked Hillary Clinton a tough and direct question regarding The Clinton Foundation and the perceived pay for play that took place when Clinton was Secretary of State. Hillary Clinton did not answer the question. She just flat out ignored the question and gushed over what the Foundation did. Donald Trump then pounced on Hillary and the monies she has taken from nations that are abusive to women and gays. Trump asked Hillary to return the money. Of course there is no chance in hell that Hillary would ever do such a thing, yet she claims to be the champion of women and gays. 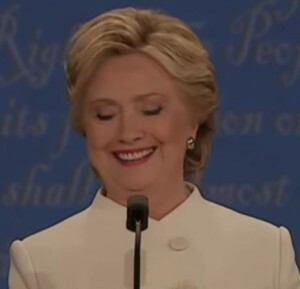 Hillary Clinton had no response to the question of returning the money and was left with that that uncomfortable goofy smile. Would not it be the honrable thing to return monies to countries that abuse women and kill gays? Then again, we used the word honorable. “So I would like to ask you right now,” he continued. “Why don’t you give back the money that you have taken from certain countries that treat certain groups of people so horribly? Why don’t you give back the money? BTW … what the hell was up with Clinton in laughing and that bizarro, dopey grin (see video 0:32) she get when Trump mentioned that “these are people that push gays off buildings?” Laughing and that inappropriate, goofy smile? Wallace: In this bucket about fitness to be president there’s been a lot of developments over the last ten days since the last debate. I’d like to ask you about them. These are questions that the American people have. Secretary Clinton, during your 2009 Senate confirmation hearing you promised to avoid even the appearance of a conflict of interest with your dealing with the Clinton Foundation while you were secretary of state, but e-mails show that donors got special access to you, those seeking grants for Haiti relief separately from non-donors and some of those donors got contracts, government contracts, taxpayer money. Can you really say you’ve kept your pledge to that Senate committee and why isn’t what happened and what went on and between you and the Clinton Foundation? Why isn’t it what Mr. Trump calls pay-to-play? Israel and Saudi Arabia wasted no time blasting the nuclear accord with Iran, while many of the world’s leaders — and some of Iran’s immediate neighbors — expressed relief that a deal had been reached. How any American president could make a deal like this with state sponsored terrorism should be grounds for impeachment. Sorry Mr. President, no deal is better than a bad deal. This president has just inflcited Obamacare, nuke style, upon the Middle East and the world. Heaven help us. Jerusalem Post: Netanyahu, If it weren’t for Israel, Iran would’ve had nukes long ago. Speaking before the Knesset to honor the memory of Likud ideological forebear Ze’ev Jabotinsky, the premier said that it was Israel’s vocal opposition to the Iran nuclear program that delayed Tehran’s attainment of the bomb. “If it weren’t for Israel’s efforts, Iran would’ve gained possession of a nuclear weapon a long time ago,” the prime minister said. This deal was not about US national security or certainly not Israel security or stabilization in the Middle East, it was about the narcissist in Chief, Barack Obama, legacy. Of course I have no idea what he expects or wants his legacy to be, the destruction of the Middle East and terrorism raining down on the world? Saudi Arabia’s King Abdullah has died at the age of 90. This is certainly not good for the powder keg that is the Middle East, especially when it comes to Iran and the recent collapse of the government in Yemen. Saudi state TV says King Abdullah, the powerful U.S. ally who joined Washington’s fight against al-Qaida and sought to modernize the ultraconservative Muslim kingdom has died. He was 90. The TV station said Abdullah died Friday. His expected successor is his 79-year-old half-brother, Prince Salman, who recently has taken on the ailingAbdullah’s responsibilities. 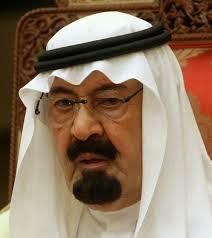 UPDATE I: Saudi King Abdullah dies, new ruler is Salman. Saudi Arabia’s King Abdullah died early on Friday and his brother Salman became king, the royal court in the world’s top oil exporter and birthplace of Islam said in a statement carried by state television. Military operations have begun in Syria against ISIS. As reported at FOX News, the United States and five Arab allies, Jordan, Saudia Arabia, United Arab Emirates, Bahrain and Qater, have begun military operations in Syria against ISIS. The bombing campaign consisted of airstrikes, bombings and Tomahawk cruise-missile attacks against the Islamic State. The airstrikes focused on the city of Raqqa, the declared capital of ISIS’ self-proclaimed Islamic State, but also about 20 to 25 targets have been struck. The United States, joined by five Arab allies, launched an intense campaign of airstrikes, bombings and cruise-missile attacks against the Islamic State and another militant group in Syria Monday night – marking the first U.S. military intervention in Syria since the start of that country’s civil war in 2011. U.S. Central Command (Centcom) said in a statement released early Tuesday that 14 Islamic State targets were hit, including the group’s fighters, training camps, headquarters and command-and-control facilities, and armed vehicles. The operation involved a combination of fighter jets, Predator drones and Tomahawk missiles launched from the Red Sea and Persian Gulf. The mission was not limited to hitting Islamic State positions. Centcom said that U.S. aircraft also struck eight targets associated with another terrorist group called the Khorasan Group, made of up Al Qaeda veterans. Those strikes, near the northwestern Syrian city of Aleppo, targeted training camps, a munitions production facility, a communication building and command-and-control facilities. American jets began bombing ISIS targets in Syria early Tuesday, raising U.S. involvement in the war-torn country and sending a forceful message to the terror group. The airstrikes focused on the ISIS stronghold of Raqqa, a U.S. official told CNN, though other locations were hit as well. At least 20 targets in an around Raqqa were hit, the opposition group Syrian Observatory for Human Rights said. 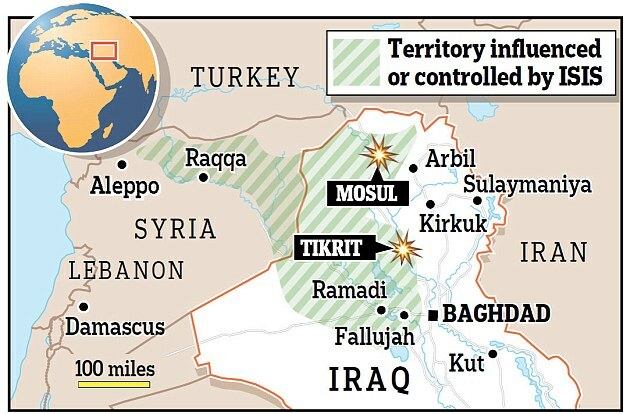 They’re the first strikes against the terror group inside the country since President Barack Obama’s announcement this month that he was prepared to expand the American efforts beyond targets in Iraq. All foreign partners participating in the strikes with the United States are Arab countries, a senior U.S. military official told CNN. Those nations are Bahrain, Saudi Arabia, the United Arab Emirates and Jordan. Diplomatic sources told CNN that Qatar was also involved, though it was not clear whether Qatar actually conducted airstrikes itself. King Abdullah of Saudi Arabia warns the West of ISIS stating, “If we ignore them, I am sure they will reach Europe in a month and America in another month.” King Abdullah warned that ISIS jihadists must be dealt with quickly, saying a lack of action would be “unacceptable” in the face of the terrorist phenomenon. Of course I would ask two question. One, what has King Abdullah and Saudi Arabia done to quell ISIS or terrorists and two, take rapid action, doesn’t King Abdullah realize that in Obama, he is talking to a ditherer? King Abdullah of Saudi Arabia has warned that the West will be the next target of the jihadists sweeping through Syria and Iraq, unless there is “rapid” action. Lack of action would be “unacceptable” in the face of the phenomenon, King Abdullah said. “You see how they (jihadists) carry out beheadings and make children show the severed heads in the street,” he said, condemning the “cruelty” of such acts.